This document contains an exposure draft of a proposed revision of ASOP No. 27, Selection of Economic Assumptions for Measuring Pension Obligations. Please review this exposure draft and give the ASB the benefit of your comments and suggestions. Each written comment letter or email received by the comment deadline will receive appropriate consideration by the drafting committee and the ASB. The last revision of this standard was issued in September 2013. In response to specific requests for changes in the Actuarial Standards of Practice and other activity related to public pension plans, in July 2014 the ASB issued a Request for Comments on the topic of ASOPs and Public Pension Plan Funding and Accounting. Over 50 comment letters were received covering a wide variety of potential ASB actions. In December 2014, the ASB formed the Pension Task Force and charged it with reviewing these comments and other relevant reports and input to develop recommendations for ASB next steps. In July 2015, the ASB held a public hearing on the proposed actuarial standards of practice applicable to actuarial work regarding public plans. The Pension Task Force provided its report to the ASB in February 2016. The report included suggestions for changes to the ASOPs that would apply to all areas of pension practice. In June 2016, the ASB directed its Pension Committee to draft appropriate modifications to the actuarial standards of practice, in accordance with ASB procedures, to implement the suggestions of the Pension Task Force. The changes in this exposure draft, and in exposure drafts of ASOP No. 4 and ASOP No. 35 issued together with this exposure draft, modify the standards to implement the Pension Task Force suggestions. Section 3.6.3, Phase-In of Changes in Assumptions, was added to provide guidance regarding the phase-in of assumptions. Section 3.13, Reviewing Assumptions, was expanded to provide additional guidance regarding reviewing assumptions. Retirement Plan Benefits in Domestic Relations Actions, that relates to the selection and use of economic assumptions. This standard applies to actuaries when performing actuarial services that include selecting economic assumptions to measure obligations under any defined benefit pension plan that is not a social insurance program, as described in section 1.2, Scope, of ASOP No. 32, Social Insurance (unless ASOPs on social insurance explicitly call for application of this standard). Measurements of defined benefit pension plan obligations include calculations such as funding valuations or other assignment of plan costs to time periods, liability measurements or other actuarial present value calculations, and cash flow projections or other estimates of the magnitude of future plan obligations. Measurements of pension obligations do not generally include individual benefit calculations, individual benefit statement estimates, or nondiscrimination testing. The standard also applies whenever the actuary has an obligation to assess the reasonableness of an economic assumption that the actuary has not selected. Pension obligation values incorporate assumptions about pension payment commencement, duration, and amount. They also require discount rates to convert future expected payments into present values. Some of these assumptions are economic assumptions covered under ASOP No. 27 and some are noneconomic assumptions covered under ASOP No. 35, Selection of Demographic and Other Noneconomic Assumptions for Measuring Pension Obligations. In order to measure a pension obligation, the actuary will need to select or assess assumptions underlying the obligation. The types of economic assumptions used to measure pension obligations may include inflation, investment return, discount rate, compensation increases, and other economic factors such as Social Security, cost-of-living adjustments, rate of payroll growth, growth of individual account balances, and variable conversion factors. To evaluate relevant data, the actuary should review appropriate recent and long-term historical economic data. The actuary should not give undue weight to recent experience. The actuary should consider the possibility that some historical economic data may not be appropriate for use in developing assumptions for future periods due to changes in the underlying environment. Appendix 3 lists some generally available sources of economic data and analyses. The actuary should take into account the balance between refined economic assumptions and materiality. The actuary is not required to use a particular type of economic assumption or to select a more refined economic assumption when in the actuary’s professional judgment such use or selection is not expected to produce materially different results. The actuary should take into account the balance between refined economic assumptions and the cost of using refined assumptions. For example, actuaries working with small plans may prefer to emphasize the results of general research to comply with this standard. However, they are not precluded from using relevant plan-specific facts. The actuary should select economic assumptions that reflect the actuary’s knowledge as of the measurement date. However, the actuary may learn of an event occurring after the measurement date that would have changed the actuary’s selection of an economic assumption. (For example, a collective bargaining agreement ratified after the measurement date may lead the actuary to change the compensation increase assumption that otherwise would have been selected.) If appropriate, the actuary may reflect this change as of the measurement date. e. it has no significant bias (i.e., it is not significantly optimistic or pessimistic), except when provisions for adverse deviation or plan provisions that are difficult to measure are included (as discussed in section 3.5.1) and disclosed under section 4.1.1 or when alternative assumptions are used for the assessment of risk, in accordance with ASOP No. 51, Assessment and Disclosure of Risk Associated with Measuring Pension Obligations and Determining Pension Plan Contributions. The items listed above, as well as other market observations or prices, include estimates of future experience as well as other considerations. For example, the difference in yields between inflation-linked and non-inflation-linked bonds may include premiums for liquidity and future inflation risk in addition to an estimate of future inflation. The actuary may want to adjust estimates based on observations to reflect the various risk premiums and other factors (such as supply and demand for tradable bond or debt securities) that might be reflected in market pricing. If an economic assumption selected by the actuary is being phased-in over a period that includes multiple measurement dates, the actuary should select a reasonable economic assumption at each measurement date. The actuary may assume select and ultimate inflation rates in lieu of a single inflation rate. Select and ultimate inflation rates vary by period from the measurement date (for example, inflation of x% for the first 5 years following the measurement date and y% thereafter). a. Investment Policy—The plan’s investment policy may include the following: (i) the current allocation of the plan’s assets; (ii) types of securities eligible to be held (diversification, marketability, social investing philosophy, etc. ); (iii) a stationary or dynamic target allocation of plan assets among different classes of securities; and (iv) permissible ranges for each asset class within which the investment manager is authorized to make investment decisions. The actuary should consider whether the current investment policy is expected to change during the measurement period. b. Effect of Reinvestment—Two reinvestment risks are associated with traditional, fixed income securities: (i) reinvestment of interest and normal maturity values not immediately required to pay plan benefits, and (ii) reinvestment of the entire proceeds of a security that has been called by the issuer. c. Investment Volatility—Plans investing heavily in those asset classes characterized by high variability of returns may be required to liquidate those assets at depressed values to meet benefit obligations. Other investment risks may also be present, such as default risk or the risk of bankruptcy of the issuer. d. Investment Manager Performance—Anticipating superior (or inferior) investment manager performance may be unduly optimistic (or pessimistic). The actuary should not assume that superior or inferior returns will be achieved, net of investment expenses, from an active investment management strategy compared to a passive investment management strategy unless the actuary believes, based on relevant supporting data, that such superior or inferior returns represent a reasonable expectation over the measurement period. e. Investment and Other Administrative Expenses—Investment and other administrative expenses may be paid from plan assets. To the extent such expenses are not otherwise recognized, the actuary should reduce the investment return assumption to reflect these expenses. f. Cash Flow Timing—The timing of expected contributions and benefit payments may affect the plan’s liquidity needs and investment opportunities. g. Benefit Volatility—Benefit volatility may be a primary factor for small plans with unpredictable benefit payment patterns. It may also be an important factor for a plan of any size that provides highly subsidized early-retirement benefits, lump-sum benefits, or supplemental benefits triggered by corporate restructuring or financial distress. In such plans, the untimely liquidation of securities at depressed values may be required to meet benefit obligations. h. Expected Plan Termination—In some situations, the actuary may expect the plan to be terminated at a determinable date. For example, the actuary may expect a plan to terminate when the owner retires, or a frozen plan to terminate when assets are sufficient to provide all accumulated plan benefits. In these situations, the investment return assumption may reflect a shortened measurement period that ends at the expected termination date. i. Tax Status of the Funding Vehicle—If the plan’s assets are not kept in a tax-exempt fund, income taxes may reduce the plan’s investment return. Taxes may be reflected by an explicit reduction in the total investment return assumption or by a separately identified assumption. j. Arithmetic and Geometric Returns—The use of a forward-looking expected arithmetic return as an investment return assumption will generally produce a mean accumulated value. The use of a forward-looking expected geometric return as an investment return assumption will produce an accumulated value that generally converges to the median accumulated value as the time horizon lengthens. The actuary should consider the implications of a forward-looking expected arithmetic return and a forward-looking expected geometric return when constructing an investment return assumption. In some instances, the actuary will collect forward-looking expected returns by asset class from external sources. The actuary should take appropriate steps to determine the time horizon, the price inflation, and the expenses reflected in the expected returns. In addition, the actuary should take steps to determine the type of forward-looking expected returns collected from external sources (i.e., forward-looking expected geometric returns or forward-looking expected arithmetic returns) and that they are used appropriately. For example, when determining a forward-looking expected geometric return for an entire portfolio, the actuary generally should not take the weighted average of the forward-looking expected geometric return for each of the asset classes. In this instance, to determine the forward-looking expected geometric return for an entire portfolio, the actuary should take the weighted average of the forward-looking expected arithmetic return for each of the asset classes and adjust such determination to reflect the variance of the entire portfolio. Appendix 2 includes general background on arithmetic and geometric returns. a. Select and Ultimate Investment Return Rates—Assumed investment return rates vary by period from the measurement date (for example, returns of x% for the first 10 years following the measurement date and y% thereafter). When assuming select and ultimate investment return rates, the actuary should consider the relationships among inflation, interest rates, and market appreciation or depreciation. b. Benefit Payments Covered by Designated Current or Projected Assets—One investment return rate is assumed for benefit payments covered by designated current or projected plan assets on the measurement date, and a different investment return rate is assumed for the balance of the benefit payments and assets. a. Contribution Budgeting—An actuary evaluating the sufficiency of a plan’s contribution policy may choose among several discount rates. The actuary may use a discount rate that reflects the anticipated investment return from the pension fund. Alternatively, the actuary may use a discount rate appropriate for defeasance, settlement, or market-consistent measurements. b. Defeasance or Settlement—An actuary measuring a plan’s present value of benefits on a defeasance or settlement basis may use a discount rate implicit in annuity prices or other defeasance or settlement options. c. Market-Consistent Measurements—An actuary making a market-consistent measurement may use a discount rate implicit in the price at which benefits that are expected to be paid in the future would trade in an open market between a knowledgeable seller and a knowledgeable buyer. In some instances, that discount rate may be approximated by market yields for a hypothetical bond portfolio whose cash flows reasonably match the pattern of benefits expected to be paid in the future. The type and quality of bonds in the hypothetical portfolio may depend on the particular type of market-consistent measurement. The actuary should consider available plan-sponsor-specific compensation data, but the actuary should carefully weigh the credibility of these data when selecting the compensation increase assumption. For small plans or recently formed plan sponsors, industry or national data may provide a more appropriate basis for developing the compensation increase assumption. The actuary should refer to ASOP No. 25, Credibility Procedures, for additional guidance. a. Compensation Practice—The plan sponsor’s current compensation practice and any contemplated changes may affect the compensation increase assumption, at least in the short term. For example, if pension benefits are a function of base compensation and the plan sponsor is changing its compensation practice to put greater emphasis on incentive compensation, future growth in base compensation may differ from historical patterns. b. Competitive Factors—The level and pattern of future compensation changes may be affected by competitive factors, including competition for employees both within the plan sponsor’s industry and within the geographical areas in which the plan sponsor operates, and global price competition. Unless the measurement period is short, the actuary should not give undue weight to short-term patterns. c. Collective Bargaining—The collective bargaining process impacts the level and pattern of compensation changes. However, it may not be appropriate to assume that future contracts will provide the same level of compensation changes as the current or recent contracts. d. Compensation Volatility—If certain elements of compensation, such as bonuses and overtime, tend to vary materially from year to year, or if aberrations exist in recent compensation amounts, then volatility should be taken into account. In some circumstances, this may be accomplished by adjusting the base amount from which future compensation elements are projected (for example, the projected bonuses might be based on an adjusted average of bonuses over the last 3 years). In some other circumstances, an additional assumption regarding an expected increase in pay in the final year of service may be used. e. Expected Plan Freeze or Termination—In some situations, as stated in section 3.8.3(h), the actuary may expect the plan to be frozen or terminated at a determinable date. In these situations, the compensation increase assumption may reflect a shortened measurement period that ends at the expected termination date. a. Select and Ultimate Assumptions—Assumed compensation increases vary by period from the measurement date (for example, x% increases for the first 5 years following the measurement date, and y% thereafter) or by age or service. b. Separate Assumptions for Different Employee Groups—Different compensation increases are assumed for two or more employee groups that are expected to receive different levels or patterns of compensation increases. c. Separate Assumptions for Different Compensation Elements—Different compensation increases are assumed for two or more compensation elements that are expected to change at different rates (for example, x% bonus increases and y% increases in other compensation elements). 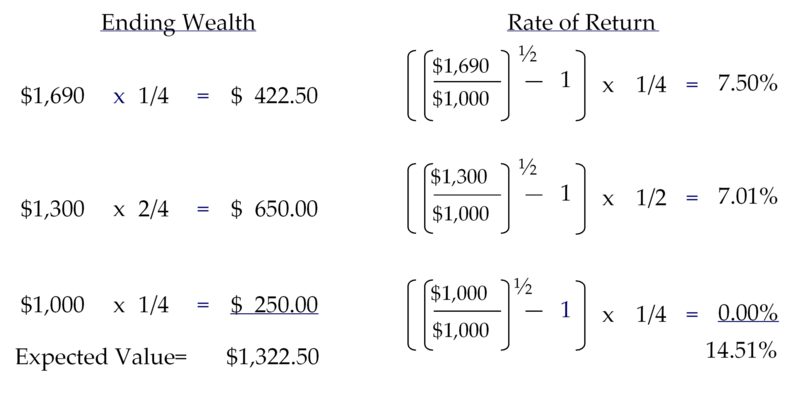 Plan benefits or limits affecting plan benefits (including the Internal Revenue Code [IRC] section 401[a] compensation limit and section 415[b] maximum annuity) may be automatically adjusted for inflation or assumed to be adjusted for inflation in some manner (for example, through regular plan amendments). However, for some purposes (such as qualified pension plan funding valuations), the actuary may be precluded by applicable laws or regulations from anticipating future plan amendments or future cost-of-living adjustments in certain IRC limits. With respect to any particular measurement, the actuary should select economic assumptions that are consistent with the other assumptions selected by the actuary, unless an assumption considered individually is not material (see section 3.5.2). A number of factors may interact with one another and may be components of other economic assumptions, such as inflation, economic growth, and risk premiums. In some circumstances, consistency may be achieved by using the same inflation, economic growth, and other relevant components in each of the economic assumptions selected by the actuary. Consistency is not necessarily achieved by maintaining a constant difference between one economic assumption and another. For each measurement date, the actuary should reassess the individual assumptions and the relationships among them, and make appropriate adjustments. The actuary should describe each significant economic assumption used in the measurement and whether the assumption represents an estimate of future experience, the actuary’s observation of the estimates inherent in market data, or a combination thereof. Sufficient detail should be shown to permit another qualified actuary to assess the level and pattern of each assumption. Depending on a particular measurement’s circumstances, the actuary may give information about specific interrelationships among the assumptions (for example, investment return: x% per year, net of investment expenses and including inflation at y%). The description should also include a disclosure of any explicit adjustment made in accordance with section 3.5.1 for adverse deviation or plan provisions that are difficult to measure as discussed in ASOP No. 4. For each economic assumption that has a significant effect on the measurement and that the actuary has selected, or that has been selected by another party (other than prescribed assumptions or methods set by law) and that the actuary determines to be reasonable, the actuary should disclose the information and analysis used to support the actuary’s determination that the assumption is reasonable. The disclosure may be brief but should be pertinent to the plan’s circumstances. For example, the actuary may disclose any specific approaches used, sources of external advice, and how past experience and future expectations were considered in determining the assumption to be reasonable. If applicable, the actuary should disclose the time period of relevant plan or plan sponsor experience that was last analyzed, including the date of any study used in the selection process. The actuary should disclose any changes in the economic assumptions from those previously used for the same type of measurement. The general effects of the changes should be disclosed in words or by numerical data, as appropriate. For each assumption that is neither a prescribed assumption or method set by another party nor a prescribed assumption or method set by law, the actuary should include an explanation of the information and analysis that led to the changes. b. any such assumption that the actuary is unable to assess for reasonableness for the purpose of the measurement (section 3.13). Nothing in this standard is intended to require the actuary to disclose confidential information (as defined in the Code of Professional Conduct [Code]). Any confidential information shall be handled consistent with Precept 9 of the Code. The first decade of the 21st century contained a significant amount of debate inside and outside the actuarial profession regarding the measurement of pension obligations. Much of the debate centered on the economic assumptions actuaries use to measure these obligations. The decade also saw the emergence of a financial economic viewpoint on pension obligations. Applying financial economic theory to the measurement of pension obligations has been controversial and has produced a significant amount of debate in the actuarial profession, which has continued in the present decade. For plans other than private single-employer plans (for example, church plans, multiemployer plans, public plans), the discount rate for current-year funding requirements may or may not be prescribed by other entities. Funding valuations for these types of plans often use a discount rate related to the expected return on plan assets. In practice, this discount rate (return on asset) assumption may be set by the legislative body, plan sponsor, a governing board of trustees, or the actuary. The actuary may advise the plan sponsor about the selection of the discount rate. 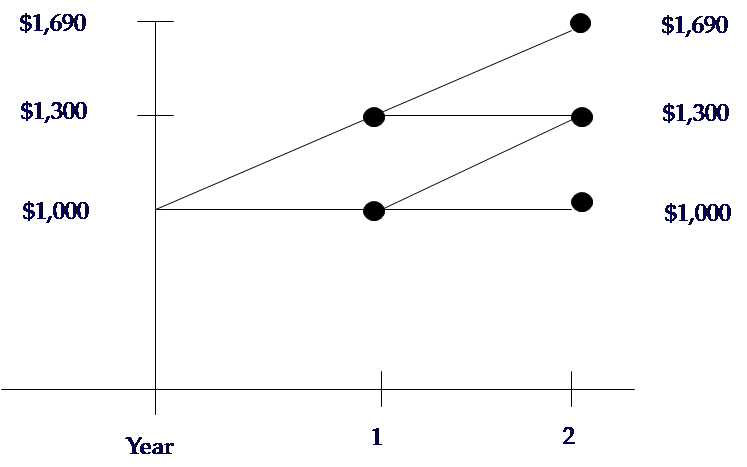 The use of a forward-looking expected geometric return as a discount rate will produce a present value that generally converges to the median present value as the time horizon lengthens (i.e., if the actuary determines a funding obligation using the forward-looking expected geometric return to discount the obligation to produce a present value, it is expected that in the limiting case there will be enough money to fund the obligation 50% of the time).The use of a forward-looking expected arithmetic return as a discount rate will generally produce a mean present value (i.e., there will be no expected actuarial gains and/or losses). Note that a forward-looking expected geometric return is not synonymous with compounding. That is, both a forward-looking expected geometric return and a forward-looking expected arithmetic return would be used in a compounding nature. which is the forward-looking expected arithmetic return. Note however in this simple example, that if the actuary funded an obligation that is expected to be $1,322.50 at the end of year two with a one-time payment of $1,000 at the beginning of year 1, there would be insufficient funds at the end of year 2 three-quarters of the time. c. correlation coefficients between asset classes. With respect to expected returns by asset class, some external sources report forward-looking expected arithmetic returns, some report forward-looking expected geometric returns and some report both. It is important to understand what type of return was collected as well as the future time horizon to which the expected returns apply. If the actuary is trying to determine the forward-looking expected arithmetic return for an entire portfolio from individual asset classes, this can be accomplished by taking the appropriate weightings from the individual asset classes’ forward-looking expected arithmetic returns. However, if the actuary is trying to determine the forward-looking expected geometric return for an entire portfolio from individual asset classes, this cannot be accomplished by taking the appropriate weightings from the individual asset classes’ forward-looking expected geometric returns. In approximating the forward-looking expected geometric return for the entire portfolio, the actuary would first determine the forward-looking expected arithmetic return for the entire portfolio and then subtract one-half of the variance of the entire portfolio.